Area rugs and wall to wall carpets are a great addition to the interior of a home or office. They are popular for their durability, quality, softness, & beauty. carpets are also flame resistant, prevent mold from developing as they absorb moisture, and are considered to be stain resistant. However, they are not necessarily stain proof! With everyday activities, a wool carpet sure gets its fair share of dust, dirt & debris. Proper rug cleaning is necessary in order to maintain a healthy indoor space and the beautiful look of the rug. 1. Check the Rug’s Label. Some wool rugs may require special care. Often manufacturers will indicate it on the label. 2. Vacuum Regularly. Rugs and wall to wall carpets must be vacuumed at least once or twice a week in order to remove dust & dirt that seeped through its fibers. 3. Shake Your Rug. Shaking the rug outside once a month is the easiest way to get rid of any dust or dirt particles that can cause wear & tear. 4. Treat Stains Fast! fibers are more resistant to stains than other types of fibers. However, once the stain sets in, it is quite difficult to remove. When a spill occurs, treat it immediately. Use a damp cloth to blot as much of the spillage as possible. Avoid rubbing the spot; this might cause permanent staining and damage to the fibers. If necessary, call a professional carpet cleaning service for urgent care. 5. Use Gentle Products Only. Some products contain harsh chemicals that may damage the colors of wool fibers. Substances such as bleach, alkaline cleaners, and dry powders must be avoided. 6. 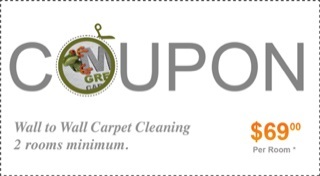 Choose a Professional Carpet Cleaner. Cleaning carpets should be performed properly by a professional carpet cleaner in order to maintain its color & texture. A thorough carpet wash should be performed once a year in order to ensure the carpet’s life, beauty and the air quality in your home. 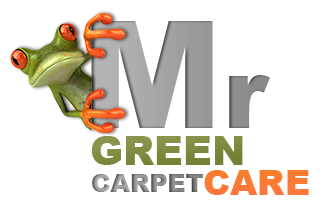 Mr. Green Carpet Care provides top professional area rug cleaning services and wall to wall carpet cleaning services in NY, parts of NJ and CT. Helping keeping your carpets beautiful, vibrant and in prime condition. We also offer free rug pick up & delivery services to all locations. Call us today at 1-877-444-6364 & we will provide you a quote. Our highly trained area rug cleaners will treat your carpets with the utmost care.